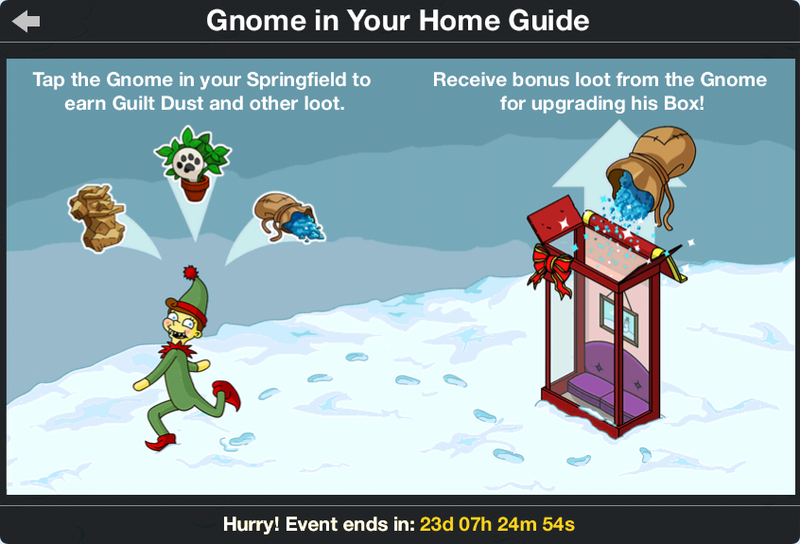 A new item has joined us in the preview of the event, the Gnome Box. When the event started a new mechanic was added: the gnome wonders around town! Join us right after the jump for all the infos you need on him! The Gnome Box was previously always closed, though some people reported it opening. The gnome was trapped inside and couldn’t get out. But then the event started and he did! He broke out and it’s our task to bring him back! The gnome wonders around our town, hidden between other characters, and if you tap him, he’ll give you items: Guilt Dust to upgrade the Gnome Box (Whole event), Catnips and Carved Figurines (Act 1), Books of Shadows and Chicken Fingers (Act 2), and Gift Vouchers (Mystery Present). 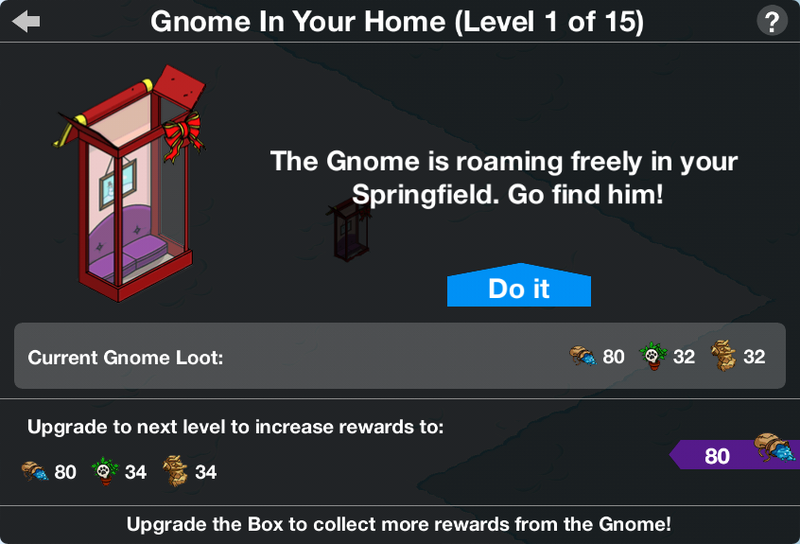 The more you upgrade the Gnome Box, the more stuff he’ll give you once tapped. To upgrade him you’ll need Guilt Dust. At level 1, you’ll need 80 to level up to Level 2. Then every level you’ll need 80*(Gnome Box Level+1). The max level is 15. Every level increases the rewards you get from him by 2. One gnome can also be caught in friend towns every 24 hours. People are reporting that the Gnome doesn’t appear outside the box even though the game says so. 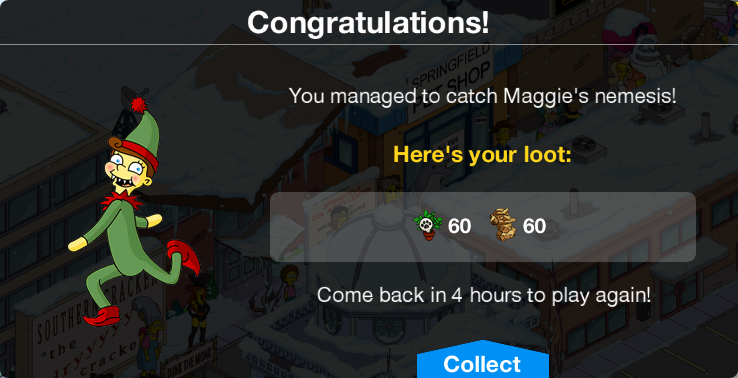 It’s a known glitch, and you can try and go to Krustyland or Friend Towns screen and back to try and solve it. To find him it’s made easier by using the radar on top right. By tapping it, an arrow will point in the direction of the gnome.